Double bicolor piping on collar and sleeve bottom. Side band colored with contrasting piping. Buttons in the same color. Side vents with reinforcement tape inside. Internal reinforcement tape. 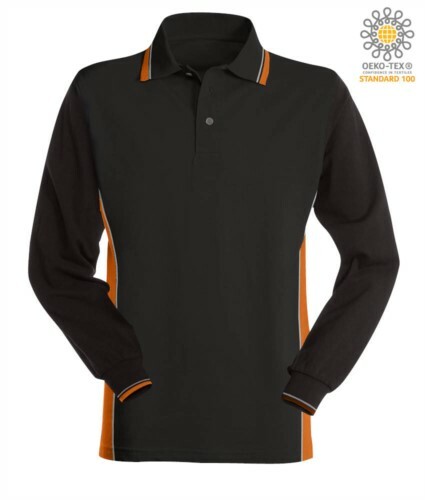 Dear friend, I suggest you this article: Bicolor long sleeve polo; You can find it on the web at: https://www.castbolzonella.it/scheda.asp?content=.